PBPSA member company Thermaflex attended the Euroheat & Power Congress held on 14-17 May, 2017 in Glasgow, United Kingdom. The Congress entitled "Experience Tomorrow Today" had a significant presence from Thermaflex with Business Development Director, District Heating/Cooling & Renewables, Christian Engel and Sandy Fairley, Sales Director of certified business partner in the UK, Flexenergy participating in a number of forums and events. The workshop informs key stakeholders of district networks familiar with the thermo-chemical technology developed in the EU project H-DisNet. Furthermore, it provides the stakeholders with the opportunity to give input to the project in an interactive round table discussion. Christian Engel of Thermaflex will be involved in the 3 interactive sessions along with key stakeholders, Veolia, Alperia and Vattenfall. Scottish Renewables & Scottish Development International Conference: Showcasing Scotland’s support for heat and opportunities for companies operating in Scotland. Attendees learn how to identify a problem within their organisations or community and solution finding through discussion and brainstorming with colleagues. Interactive Session: Format = World Café is limited to 80 active participants. Each presenter will describe their organisation and a particular issue they are struggling with – the audiences then devise solutions. Christian Engel is scheduled to be an active participant in this parallel session and others with Sandy Fairley of their certified business partner in the UK, Flexenergy. 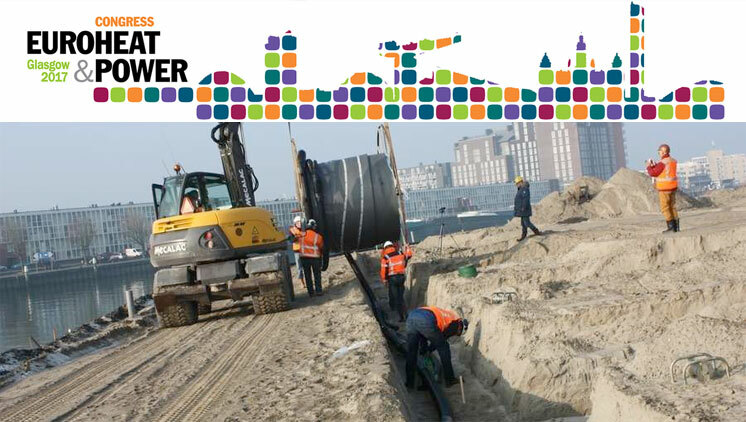 In addition, Thermaflex will have an exhibit space (Hall 2 / Booth 323) within DHC+ Technology Pavilion showing innovative solutions for 4th generation District Heating. Vistors attend the conference to learn more about state-of-the-art district energy systems and ways to substantially improve installation and operating costs for district heating and cooling.